Photo by Cat Lynn from The Smithereens Facebook page. 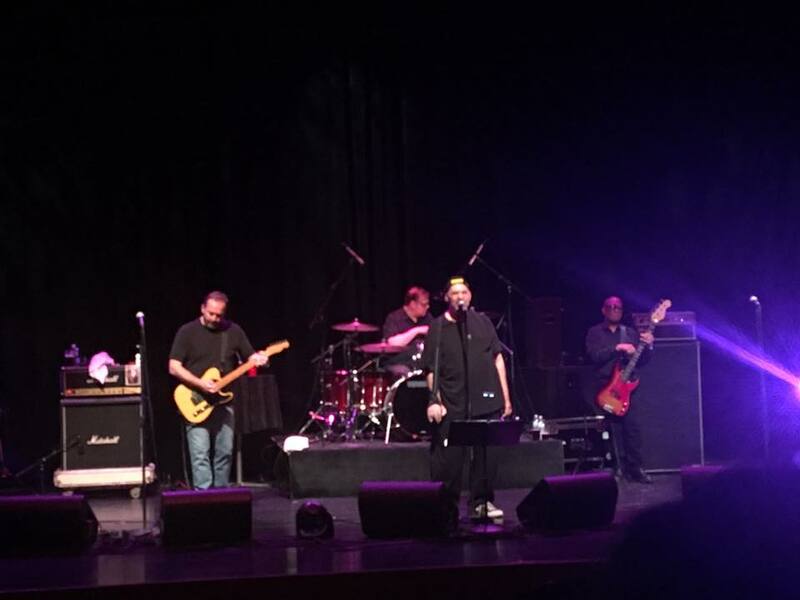 The Smithereens’ concert this past Saturday night at the Schaumburg Prairie Center For The Arts was noticeably different from their show at City Winery Chicago last September. Back in 2016, the New Jersey-based band was marking the 30th anniversary of its stellar debut effort Especially For You. With that celebration finished and the dawn of a new year, The Smithereens have set out with a different playlist. The result was another energetic and well-crafted performance of catchy power pop songs, along with a few covers of The Beatles and The Who. 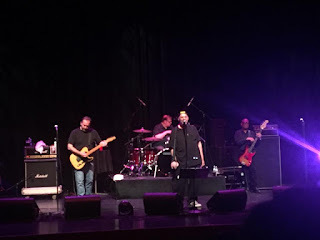 At one point, lead vocalist Pat DiNizio thanked the audience members for allowing his band to delve deeper into its catalogue. I’ve been to several Smithereens shows over the years, but I don’t recall seeing them do “One Look At You,” “If I Never Get Back Home,” “The War For Mind,” or “Life Is So Beautiful.” Even the choice of Beatles covers—“Please Please Me” and “It’s Only Love”—were different this time out. In addition to being a first-rate vocalist, DiNizio always serves up a number of bitingly funny comments and anecdotes. Elsewhere, the songs that have become milestones in The Smithereens’ live shows were just as vital as ever. Even though Especialy For You wasn’t front and center, DiNizio, guitarist Jim Babjak, drummer Dennis Diken, and bassist Severo Jornncion tapped into it for rousing versions of “Behind The Wall Of Sleep,” “Only A Memory,” and “Blood And Roses.” There was also the touching noir of “In A Lonely Place,” originally a duet for DiNizio and Suzanne Vega. “House We Used To Live In,” with its exuberant call-and-response vocals from all four band members, segued into the instrumental “Sparks” from The Who’s rock opera Tommy. The Smithereens returned to The Who for “Behind Blue Eyes” as well as Free’s “All Right Now,” for a rousing finale that had everyone in the theater up on their feet.